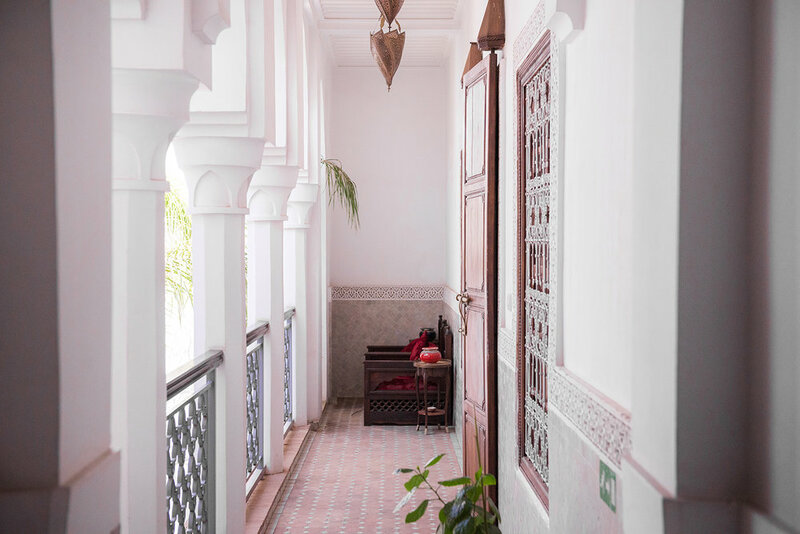 Each of the 7 rooms and suites, designed and named after areas in Morocco, are beautifully decorated in traditional style, with tiled floors and views of the central courtyard and pool. 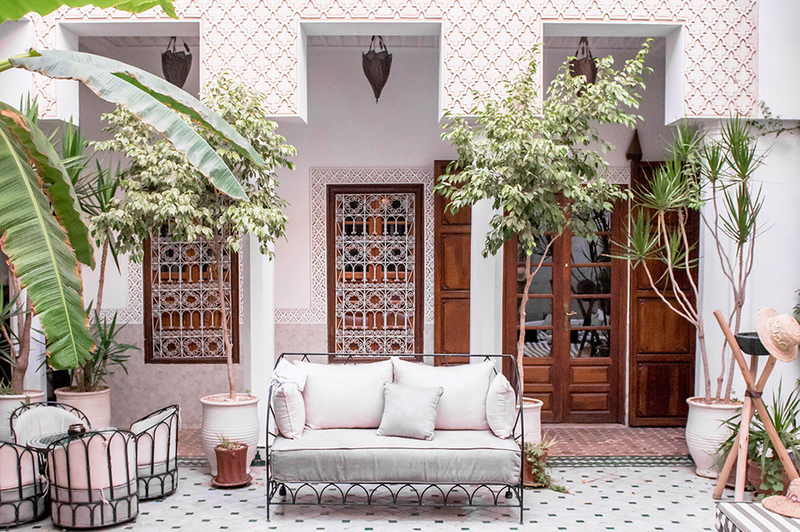 Riad Yasmine is available for private events and can be booked out exclusively. 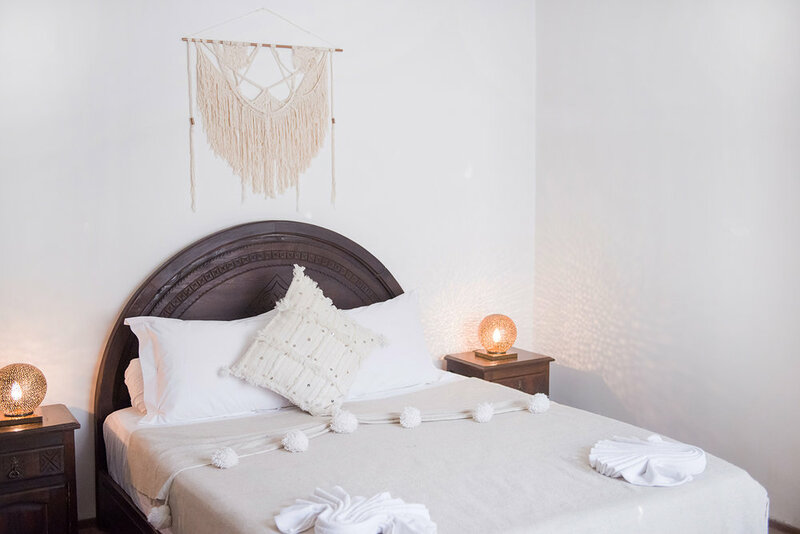 It sleeps 20 and is ideal for weddings and family gatherings. Inquire for more info. 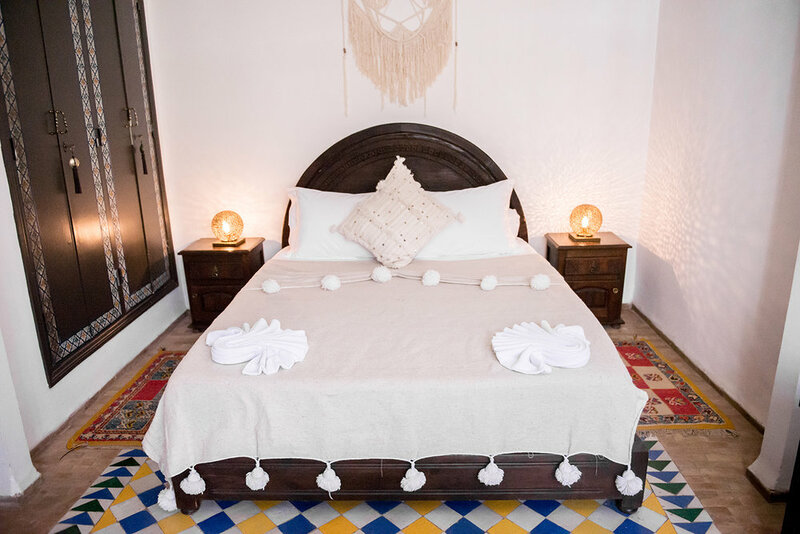 Situated in the area called Bab Taghzout, the Riad is about a 20 minute walk from the main square, Jemaa El Fna, and 5 minutes from the entrance of the souks. 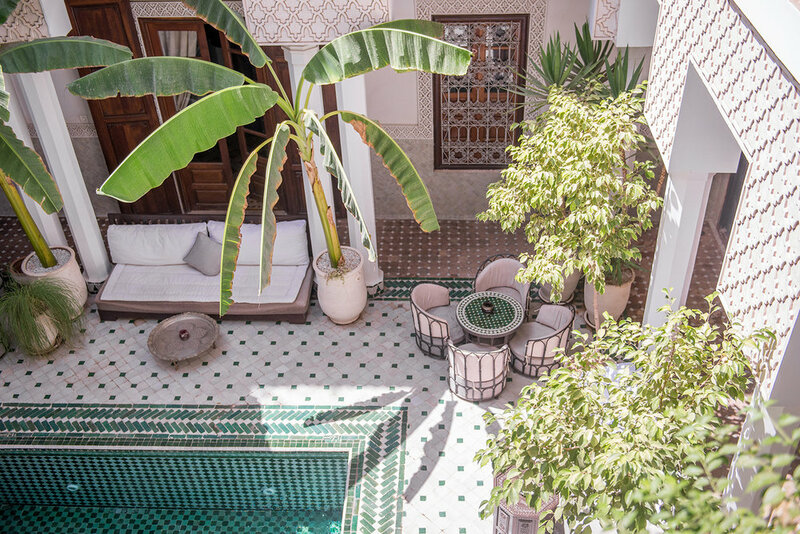 The Riad also has a car access, and can be dropped by taxi in front of the door. 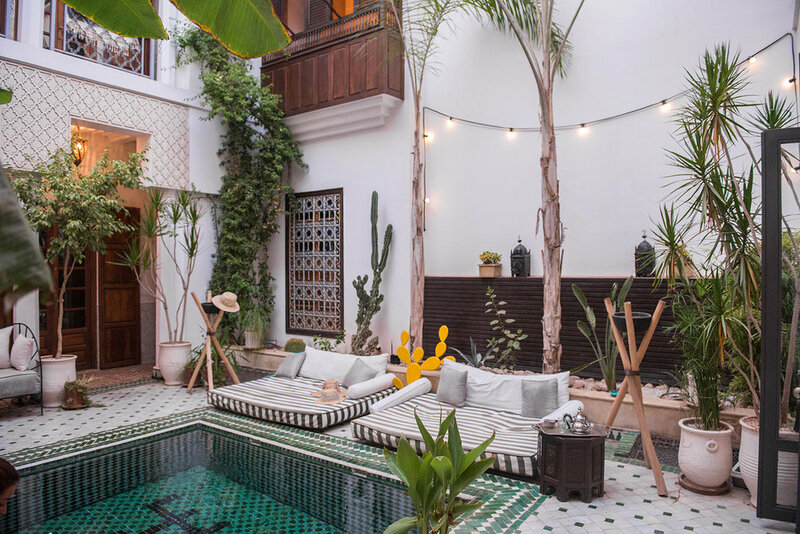 A 24 hr secured parking area is situated 50m from the Riad. 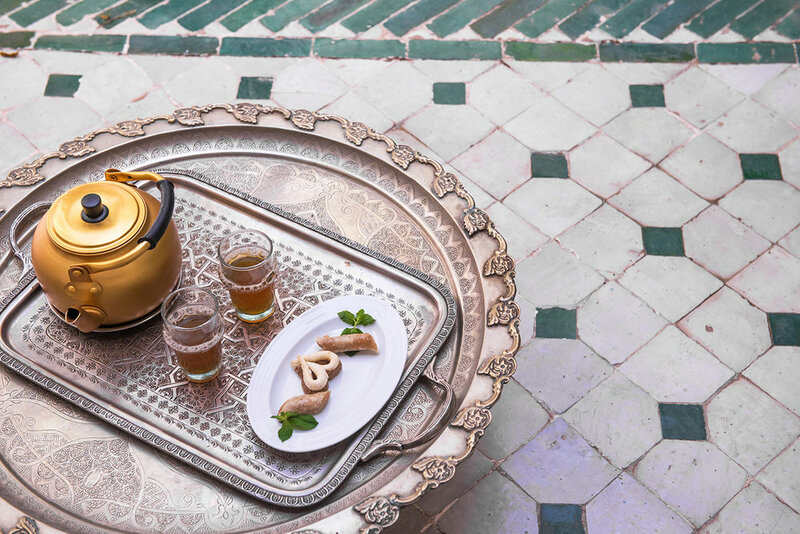 As a guesthouse, the Riad offers traditional Moroccan lunches and dinners on demand. 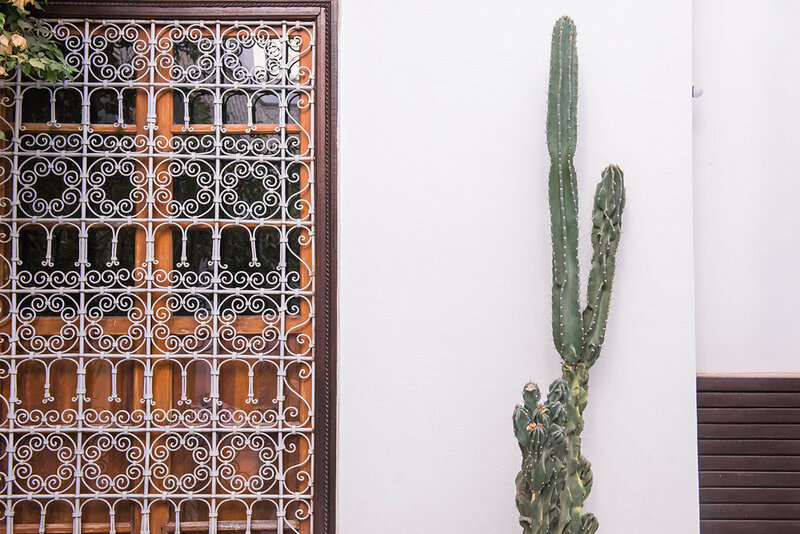 Dinners need to be booked in advance, as they only cook daily with fresh products from the local market.